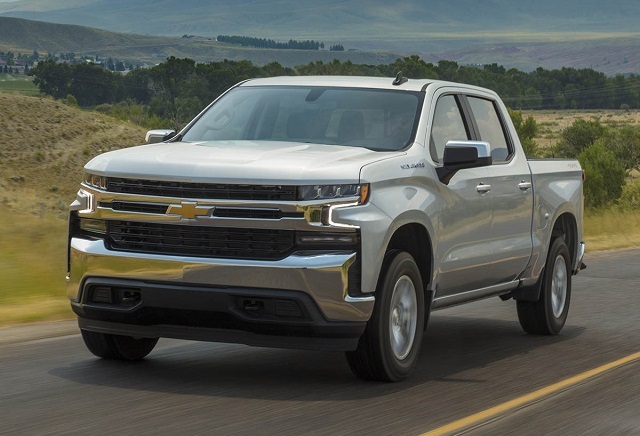 The 2019 model year brought several all-new, light-duty pickup truck models and the half-ton Chevy Silverado is also completely redesigned. The new Silverado 1500 arrived all-new, with the new chassis and body and more options to choose from. Chevy announced eight trim levels compared to the previous generation six while the powertrain options will count to six. The new Silverado offers the options for everyone no matter what priorities one has. The redesigned model will offer four-, six and eight-cylinder options including the new turbocharged and diesel units. The off-road oriented versions will also be in the lineup as well as the work-focused models and luxury equipped variants. Still, the full range of the engine options could become available late in the model year or some will come with the 2020 Chevy Silverado 1500 version. Other big changes won’t be in the 2020 version but the next model year will bring the all-new Silverado HD models. 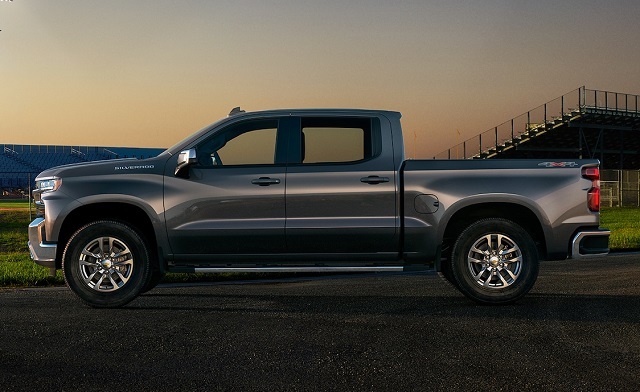 The 2020 Chevy Silverado 1500 comes after the complete overhaul for the 2019 model year and it won’t bring structural and visual upgrades. Chevy will likely add new color and wheel options for the next model year and new exterior theme could also appear. Chevy placed the redesigned body of the new generation, light-duty Silverado on the reinforced chassis. The lightweight material mix dropped the weight up to 450 pounds despite the model has larger dimensions. The styling of the model is also modernized and with the new front-end elements and more sculpted profile. The new grille version comes with the new slim headlights and each trim gets unique treatment of the styling elements. The cheaper versions will get the black exterior trim while the mid-section will come with the body color treatment and the high-end versions will add plenty of chrome. Inside the cabin, the newest Silverado is also the step forward in terms of the available tech, material and finish quality. The model has the well-designed center stack and large, easy-to-use controls. The interior comfort is also improved with the additional 2.9 inches of the rear legroom in the Crew Cab versions. Other two cab variants will also be available and the total of eight trims. The Silverado will offer the 7.0-inch infotainment system with the smartphone features from the base version and upgrade to an 8.0-inch unit in upper grades. The model will offer the range of material options including the vinyl, cloth and different leather options. There will be heated and ventilated seats, premium sound system, heated steering wheel and rear seats, navigation and much more. In the safety equipment list, the model will offer blind-spot monitoring, rear cross-traffic alert, parking sensors, lane departure warning, emergency braking, etc. The engine options will count to five with three transmission versions. The model will also offer two- and four-wheel drive and off-road upgrades. The engine range will start with the 4.3-liter V-6 coupled with the six-speed auto transmission. This combo will provide 285 hp and torque of 305 pound-feet. The upgraded 5.3-liter V-8 will come in the combination with either 6-speed or 8-speed automatic. The power and torque ratings will be 355 hp and 383 lb-ft respectively. Another V-8 unit with 6.2-liter capacity will work with the 10-speed auto gearbox and provide 420 hp and torque of 460 lb-ft. The 2.7-liter turbo-4 unit will be standard in the mid-level models and bolted to the 8-speed auto unit. The output will be 310 hp and torque of 348 lb-ft. The four-cylinder turbo will allow up to 2, 280 pounds in the cargo bed and towing limit of 7, 200 pounds. The fuel economy is estimated at 19 mpg city and 22 mpg highway with the 4×4 version. The 3.0-liter Duramax I6 diesel unit is still to show its capability but it should provide 282 hp and torque around 450 lb-ft with the 10-speed automatic. The fuel economy of the turbodiesel unit is also yet to be revealed. The 2020 Chevy Silverado 1500 will hit the market in late 2019. The base truck version should start from around $32, 500. The High Country models will climb to upper-50, 000.